Intel has announced a new release of its Linux graphics installer recently. Ubuntu 15.10 Wily is required and support for Ubuntu 15.04 is deprecated in the new release. The Intel® Graphics Installer for Linux* allows you to easily install the latest graphics and video drivers for your Intel graphics hardware. This allows you to stay current with the latest enhancements, optimizations, and fixes to the Intel® Graphics Stack to ensure the best user experience with your Intel® graphics hardware. 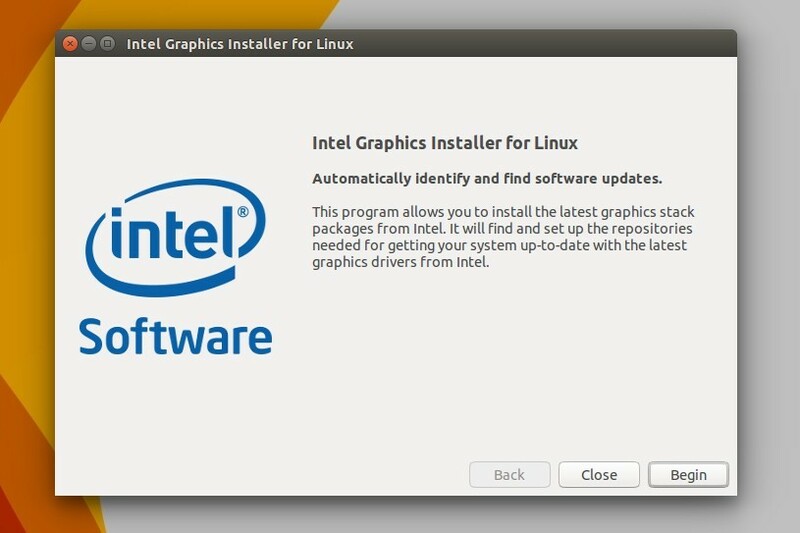 The Intel® Graphics Installer for Linux* is available for the latest version of Ubuntu*. 1. Download the installer from the link page. The current is version 1.2.1 for Ubuntu 15.10. Check your OS type, 32-bit or 64-bit, via System Settings -> Details. 2. Once the download process finished, go to your Download folder and click open the .deb package with Ubuntu Software Center and finally click the install button. 3. In order to trust the Intel Graphics Installer, you will need to add keys via below commands. NOTE: While running the first command, if the cursor is stuck and blinking after downloading the key, as above picture shows, type your password (no visual feedback) and hit enter to continue. Finally launch Intel Graphics Installer via Unity Dash or Application launcher. Do you plan on doing a performance review with these drivers? Thanks.